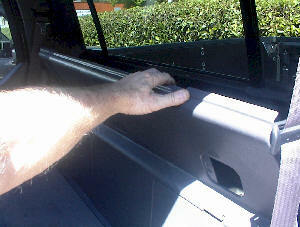 1) Drop rear panel for access. 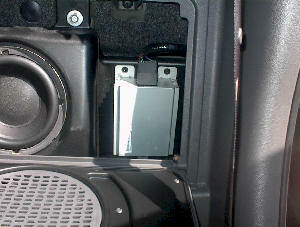 1) Subwoofer amplifier can be removed by four screws. 2) Disconnect connector and remove. 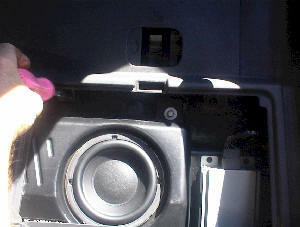 1) Remove screws along top edge of back panel. 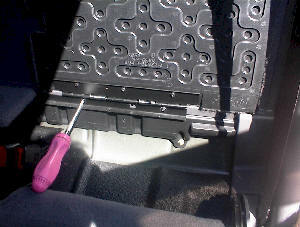 1) Remove screws from top edge of back panel on passenger side. 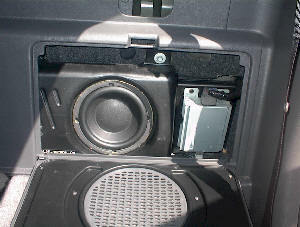 After beginning these instructions, it was decided you should never go past the amplifier removal section. 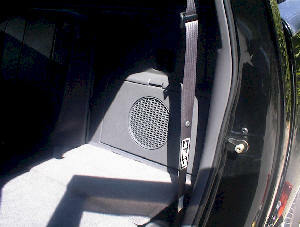 The rear seat is bolted to subwoofer enclosure. 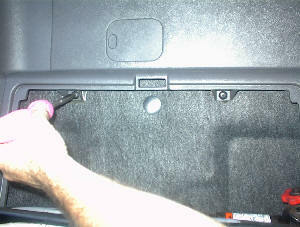 Removing the subwoofer enclosure gives no support to the rear seat.